A durable and great looking barrel gym bag. 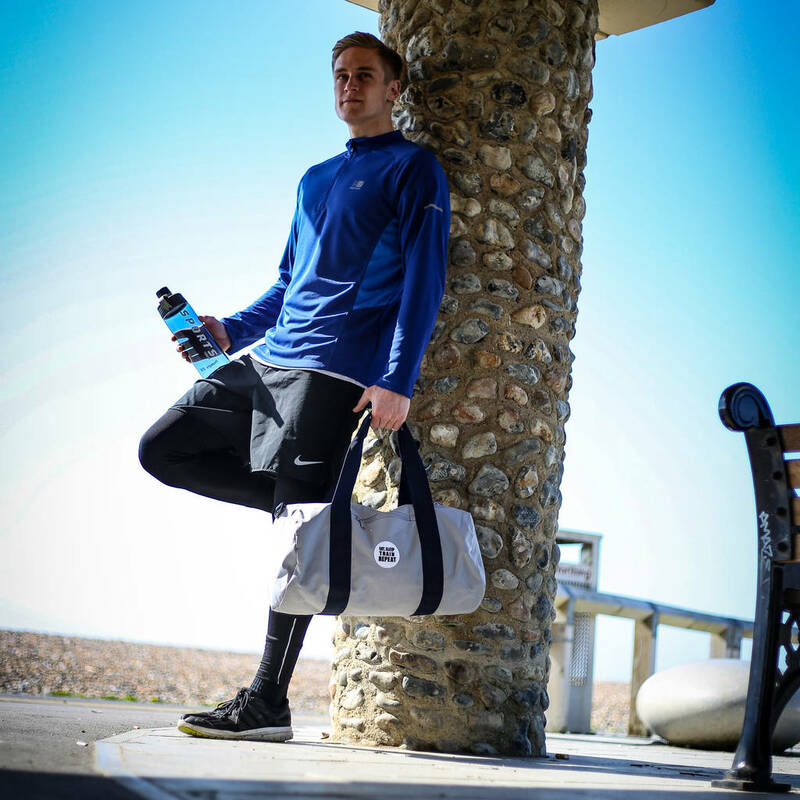 Perfect for the sports lover. 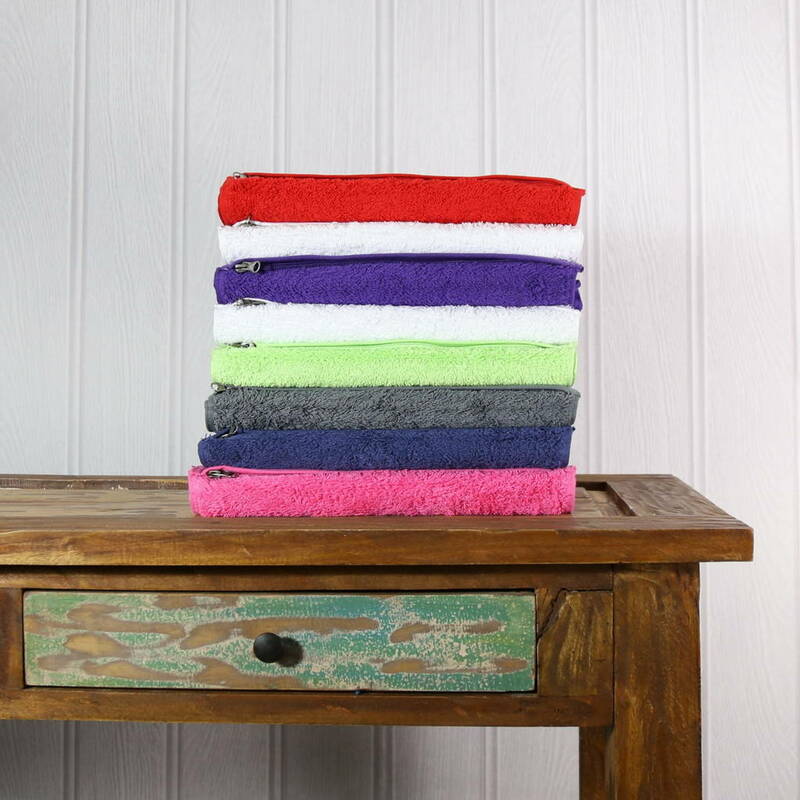 Ideal gift for Christmas, birthday, special thank you or special occasions. 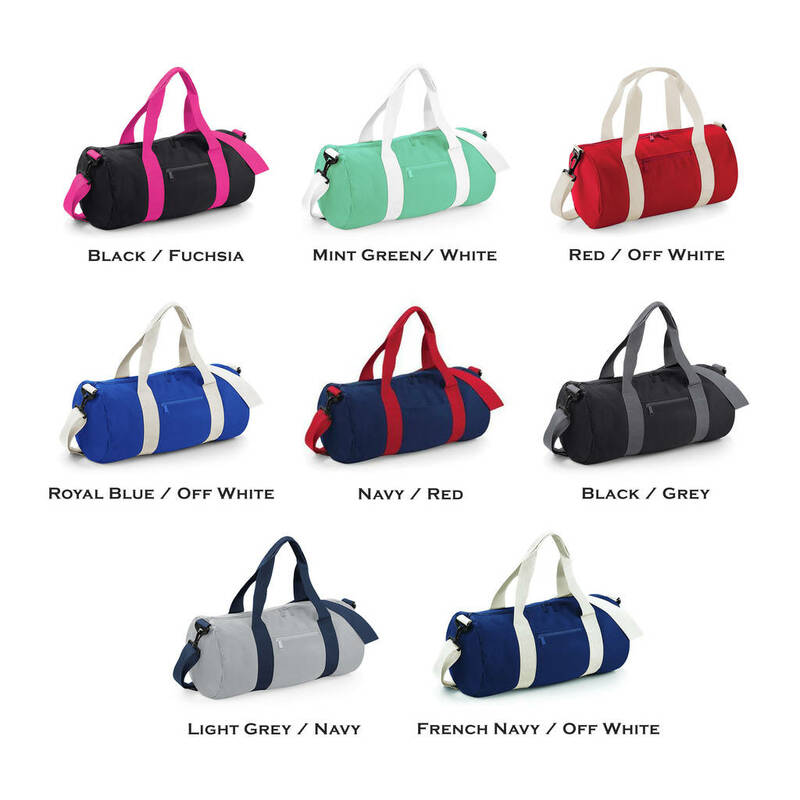 This fashionable barrel bag is perfect for the gym or as a weekend bag. 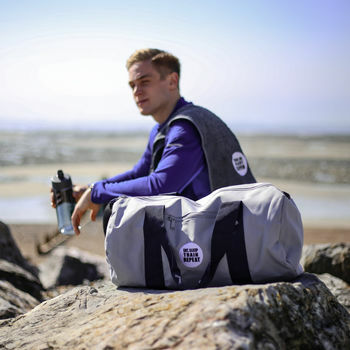 Features a zip-up pouch pocket (perfect for keys, phone or change), detachable adjustable shoulder strap and webbing carry handles. 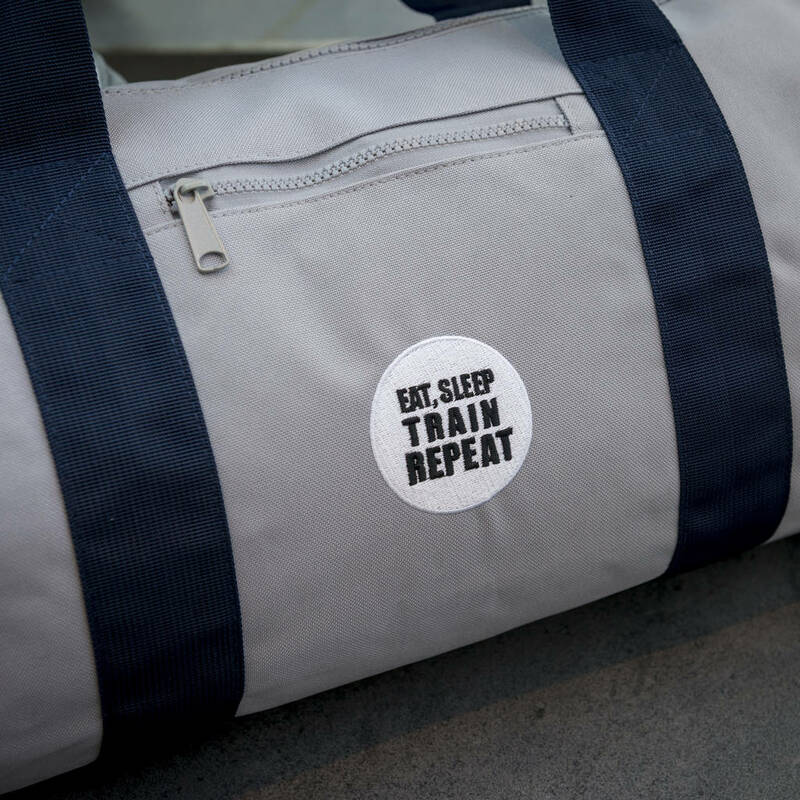 Featured on this bag is our new and unique Eat, Sleep, Train, Repeat logo. 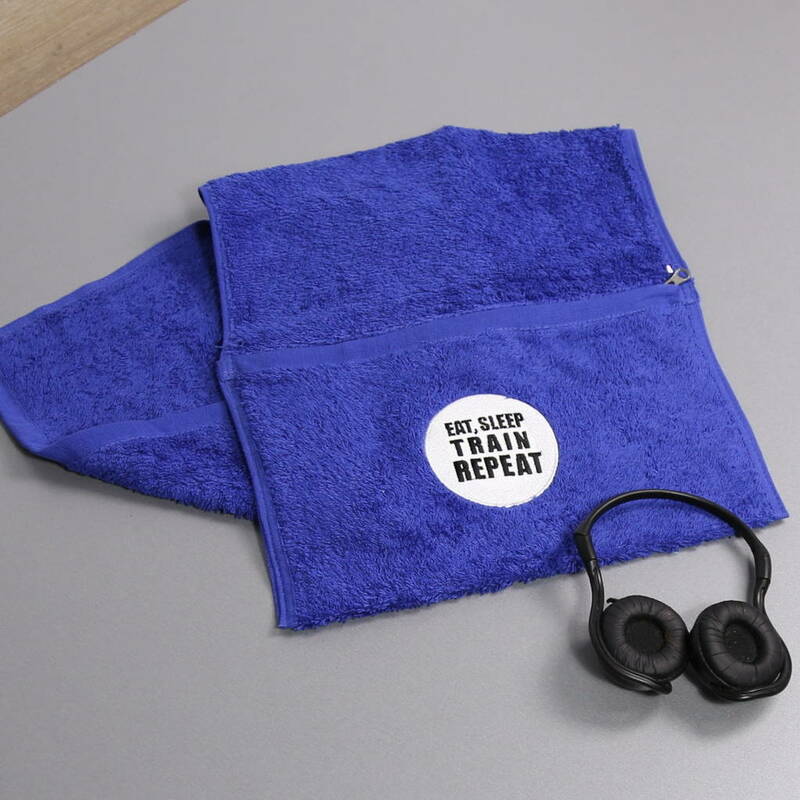 Also available with this bag is the matching zipped gym towel at £12.